In this post, I would like to call attention to a little-known medieval textile object at the Museum of Applied Arts, Budapest and also to an important exhibition in Pannonhalma, where the textile is currently on view. The object in question is a 14th century altar frontal (antependium) with the figures of the Virgin and Child, St Benedict and St. Chrysogonus. Previously it was thought to date from the late 15th century, and it was little studied, but recent research shed light to its origins: the object in fact dates from around 1360, and originates from the Church of the Benedictine Monastery of St Chrysogonus at Zadar. A Benedictine donor can be seen kneeling next to the throne of the Virgin - probably one of the abbots of the monastery. The antependium entered the Museum of Applied Arts along with the collection of Bishop Zsigmond Bubics at the beginning of the 20th century. Similar altar frontals - mostly made in Venice - are known from other churches in Zadar and in the region. One of these works, known as the Veglia Altar Frontal is now at the Victoria and Albert Museum, and was likely designed by Paolo Veneziano around 1330. That piece comes from the cathedral of Krk in Dalmatia (known as Veglia in Italian). If you would like to know more on the altar frontal in Budapest, read a recent study on it by Silvija Banić on academia.edu. The Budapest altar frontal is currently on view (after a recent conservation treatment) at an exhibition organized by the Benedictine Arcabbey of Pannonhalma. Titled Saint Benedict and Benedictine Spirituality, the exhibition is on view at the new Abbey Museum until the end of September. The exhibition allows an insight into the 1500-year-long history of Benedictine mentality through assorted works of art from the collections of the Benedectine Abbey of Lavantall, the Archabbey of Pannonhalma, and other museums. 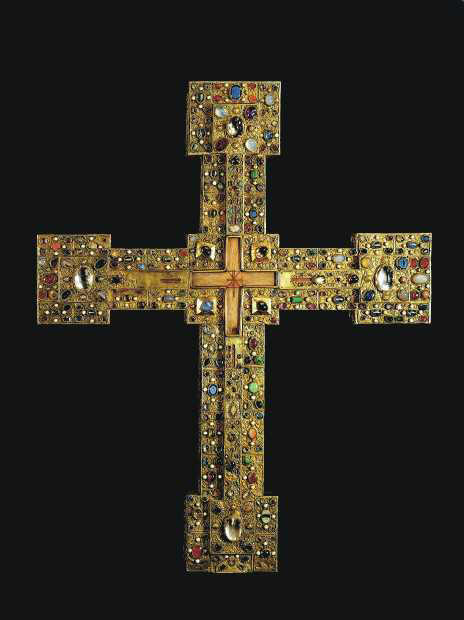 The most significant works of art in the exhibition are medieval liturgical objects, including ones which were taken from the treasury of St. Blasien Monastery in Germany to Carinthia after the provisions of Joseph II: a 12th century chasuble decorated with scenes from the Old and the New Testament, and the monumental Adelheid-cross decorated with gems, which had been originally commissioned in the 11th century by the wife of Hungarian king Saint Ladislaus, and which contains a splinter of the True Cross. I haven't seen the Pannonhalma exhibition and its catalogue yet, but I may yet write a review of it, if time permits - perhaps a comparative review with the recent Benedictine exhibition organized in Prague. Romanika.net, a Croatian website dedicated to the project "The Romanesque between the Sava and the Drava Rivers and European Culture," published a new online book on medieval art. Titled Art History - The Future is Now, the book contains studies published in Honor of Professor Vladimir Peter Goss celebrating his 70th birthday, 45 years of publication, and 40 years of university teaching. 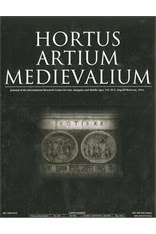 The editors of the volume are Maja Cepetić, Danko Dujmović, Vjekoslav Jukić, Aleksandra Nikoloska. 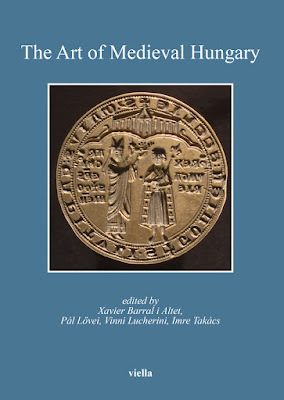 The studies in the pdf volume are published in English or Italian language (also including some in Croatian and German), and their subject matter ranges from ancient portraiture to Romanesque architecture and sculpture to Italian Gothic art. The first section represents contributions by the 'Masters and their Heirs Apparent', the second by the 'Young Lions'. The authors come from various countries (9 total) - and include one Hungarian, Béla Zsolt Szakács, who writes on Santo Stefano Rotondo in Rome. Among the authors there are Archeologists, Art Historians, Cultural Anthropologists, Linguists, reflecting Professor Goss’ true interdisciplinary orientation – of looking for the best in related fields. The book also contains a biography and bibliography of Professor Goss, as well as a study by Goss himself - reflecting on the present state and future of art and its history. While calling attention to this new online publication, I would also like to recommend the romanika.net website in its entirety, as it reflects the interests of Professor Goss very well. The research project, to which this website belongs, surveys Romanesque sites between the Sava and the Drava rivers - the area now generally known as "Continental Croatia", which was part of the Kingdom of Hungary throughout the Middle Ages (equalling the northern part of Slavonia). The project is dedicated to "discovering the sites lost and forgotten long time ago, and thus creating outlines of a totally lost and forgotten cultural landscape. The main goal is to make the art of the Pre-Romanesque (both pre-Christian Slavic and Christian) and Romanesque in Croatia receive recognition and appreciation it fully deserves." From this space and in the form of this brief post, I would like to salute Vladimir Goss, and wish him a lot of success in carrying this important project further! Sretan rođendan! Following an exhibition on the territory of Slovakia in the Middle Ages (D'or et de feu, 2010), as well as an exhibition at the sister museum of Musée de Cluny, the Musée national de la Renaissance at the Château d'Ecouen on Renaissance in Croatia, the Musée national du Moyen Âge now presents an exhibition on Croatia in the Middle Ages. Starting from 1102, the kingdom of Croatia lost its sovereignty and was ruled throughout the Middle Ages and later in the form of a personal union with the Kingdom of Hungary. The northern part of present-day Croatia, Slavonia, was part of Hungary proper, while the region of Dalmatia often changed hands between Venice and Hungary. At the time of king Louis the Great, Hungarian power was restored in Dalmatia in 1358 by the Treaty of Zadar. History and art in the territory of Croatia is thus inseparably connected to the medieval Kingdom of Hungary, evidenced by various works in the treasuries of Croatia originating from the centers of the Kingdom, including royal gifts - such as the series of treasures donated to Zara/Zadar by Louis the Great and his wife, Elisabeth. 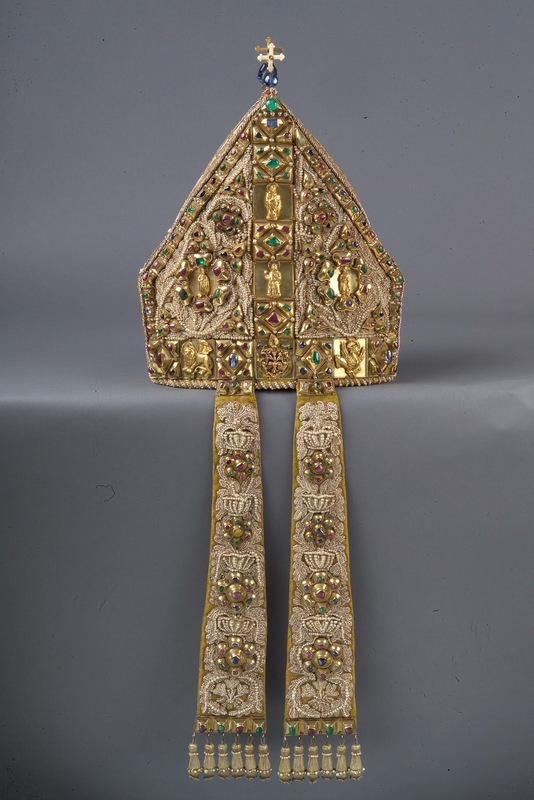 The object selected for the poster of the exhibition - the 14th century mitre from the Treasury of Zagreb cathedral is just such an object, likely donated to the cathedral by Louis the Great. However, it is still not entirely sure, whether this precious work - reworked in 1549 - was originally made in Hungary or Venice. Restored during 2005, the object was also shown in the 2006 exhibition dedicated to King and Emperor Sigismund, the successor of Louis the Great. The present exhibition features about 40 select works of art, including reliquaries, illuminated manuscripts, warrior equipment, and jewellery. It was organised as part of an ongoing Croatian festival in France, called "Croatie, la voici", which runs from September 2012 to January 2013. The festival is the result of a Croatian-French strategic partnership signed in 2010 by the presidents of the two countries, and the exhibition was also opened by the presidents. 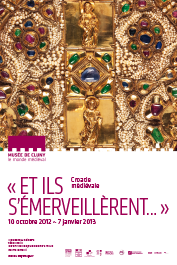 The exhibition, titled "Et ils s’émerveillèrent…" - Croatie médiévale opened on.October 10, and will remain on view until January 7, 2013. The exhibition is accompanied by a small catalogue. You can read a little more on the exhibition in the official press release of the museum (pdf), or on the website of Croatian Tourism Office, but overall, very little is available on the exhibition online so far. A slideshow of the exhibition is available on the Flickr-site of the cultural festival, also embedded below. On Friday (October 22, 2010), an art history workshop - or a discussion and debate - will be held at Collegium Budapest. The topic will be the new book by Vladimir Goss, titled: Four Centuries of European Art, 800-1200 - A View from Southeast (Četiri stoljeća europske umjetnosti: 800-1200. Pogled s jugoistoka) (Zagreb, Golden Marketing, 2010). Vladimir Goss is a Professor of Art History at the University of Rijeka, he has taught several years in the US (Michigan-Dearborn, Michigan-Ann Arbor, North Carolina - Chapel Hill), among other works, he is author of Early Croatian Architecture (London: Duckworth, 1987) and Pre-Romanesque Architecture in Croatia (Zagreb: Art Studio Azinović, 2006). He was President of the Governing Board of the Institute of Art History, Zagreb (2005 -2007). Xavier Barral i Altet, Professor Emeritus of Art History at the University of Rennes, is currently a Fellow at Collegium Budapest; Ernő Marosi, senior researcher, Institute for Art History at the HAS, Professor Emeritus at the Eötvös Loránd University, is a former Fellow at Collegium Budapest; Béla Zsolt Szakács, Associate Professor of Art History at the Pázmány Péter Catholic University and the Dept. 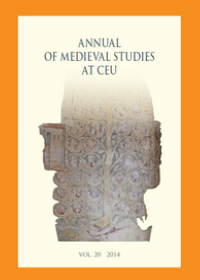 of Medieval Studies at the Central European University, is also a former Fellow at Collegium Budapest. Vladimir Goss is also the main coordinator of the website ROMANIKA.NET. The website is dedicated to the research project The Romanesque between the Sava and the Drava Rivers and European Culture, and contains a wealth of information on the subject.